My daughter has been the owner of the coveted super cape for quiet a while now. She got it at Christmas two years ago and lately my son gets very jealous when the super cape comes out and he doesn't have one to wear as well. So guess what my little man got for his birthday last month? His very own super cape! He is in love of course. And when he gets tired of being Super Man we can just flip it over and instantly he's Batman. Perfect. Gotta love the reversible super capes! And I always make them a little on the big side since super capes don't tire quickly in this house. They're a favorite. My daughters has a reversible super girl/princess cape, but I think I've only seen her use the princess side once. She was pretty jealous that her brother got Batman. If only I'd know way-back-when I would have made hers with Bat-Girl. Rats. 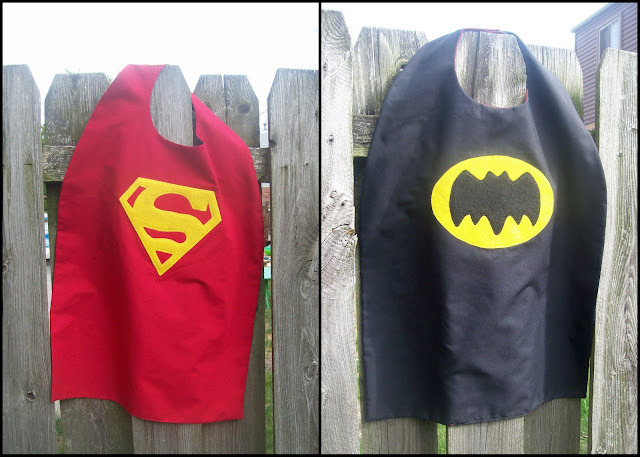 I used this great tutorial over at Puking Patilles to make my capes. And because I love to share, I'm providing my templates below in case you're dying to make one too. They are so loved in this house. 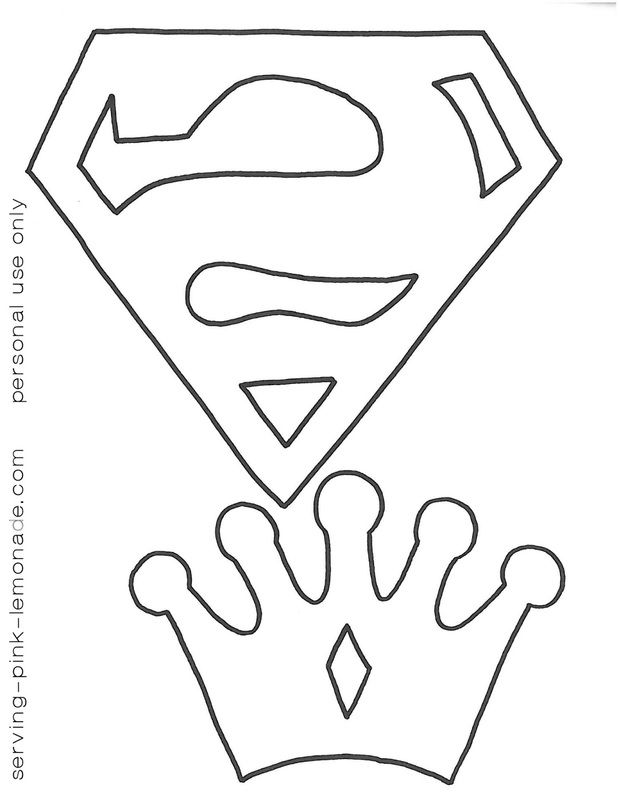 Please view my Super Hero Party post to find the batman and flash logos as well as my super hero mask templates. Now we're all ready to go out and save the world . . .
:( I wanted to make these for my boys and my nephew. The links should be fixed now. Thanks for your patients. Awesome! I just tackled my first superhero princess cape this weekend. These kids and their capes . . . how much fun are they? Thank you so much! 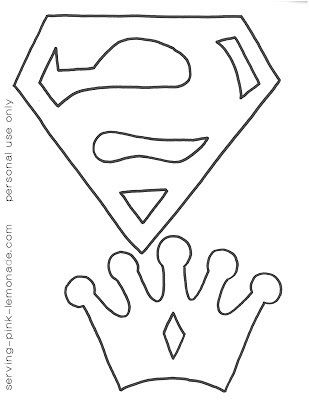 I think I'll make a reversible Batman/Superman one like my brother had when we were little kids. How fun! Thanks for linking up to Mad Skills Monday! soo cute! I made a superman/batman one a few years ago for a little boy I babysit and loved it, but he didn't play with it. Super sad!! They look terrific! Well done. And thanks for the template. I'll have to make a Supergirl one! Every american kid definately needs a cape, and so glad your little one has one now too.....love that it's reversible! thanks so much for sharing on Craft Schooling Sunday, great to see you! Excellent job! I'm glad I found your site! You should come link this up to my Making It With Allie linky Party! You are a life saver! My son is Batman for Halloween and I have been stressing over making the cape. Thank You!! Really cute capes! My boys lived in their superhero capes until they were about 5 years old. I love your blog header!! SO cute!! I just linked to this post since I borrowed your template for my daughter's Batman party last month. Thank you so much for sharing it! I've been waiting for a chance to make these. I just shared about it on my blog and linked back to you also. 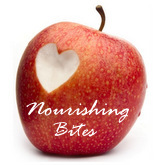 Love your blog, such awesome ideas for Mum's. Hi, I love the cape! when I clicked on the templates it came up with "error"
What material will be best to make these capes? Thanks for sharing I love the pink one! This made me smile! I'm so glad to hear your kids loved them! The width across the bottom is roughly 16 inches when finished. 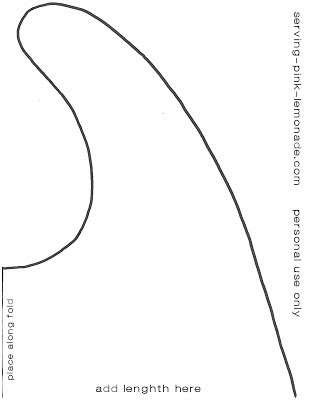 The length from the base of the neck to the bottom is about 19 inches. The overall length is 27 inches if you're including the part that goes around the neck. I hope that helps. Have fun making your capes! Les encantaron a mis ninhos. Yes, save it as a JPEG. To reduce the margins to 0 open Word. Click on Page Layout at the top, then Margins. Go to the bottom and click on Custom Margins. Where is says top, bottom, left, right there should be a 1. Change it to 0. Hope that helps!